I printed some pictures from our weekend at home for my mother. She’s coming over the weekend to watch the kids while my husband and I go to the wedding of the year. More on that later. Instead of editing each one and picking a few – I printed them all out. There were no less than 12 photos of cake. Me with cake. 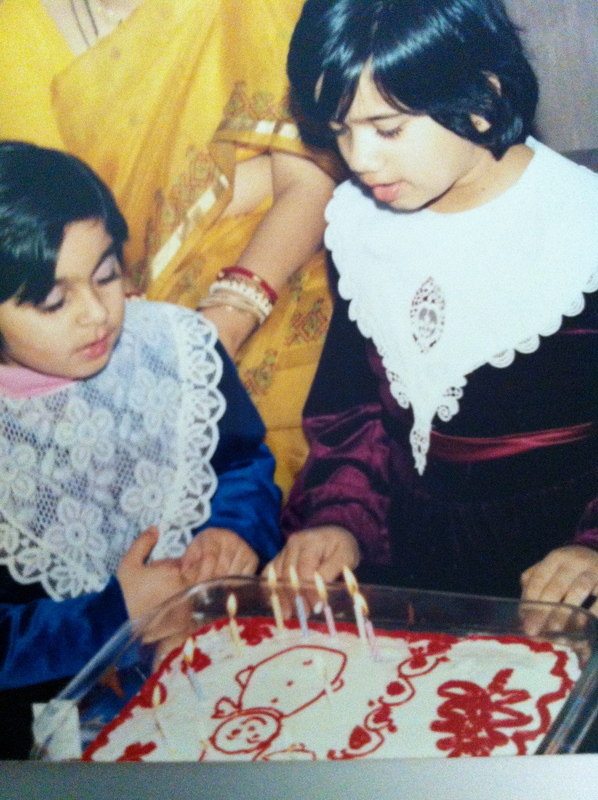 My sister and I with cake. 5 shots of just the cake. It’s the first time cake beat out my kids in quantity. I know I’ve written about my family’s “cake for breakfast” tradition. But actually my legacy with cake goes way back. Cake was the only non-Indian food group that made its way into our home (except for the pizza and the occasional bowl of spaghetti on Saturday mornings – that’s another story). 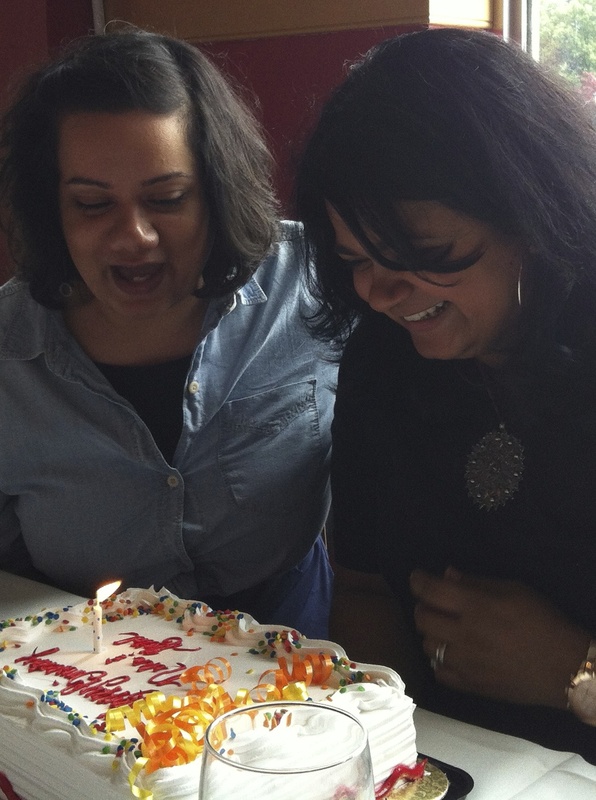 Ofcourse we had cake for the usual Birthdays, Anniversaries, etc. But we created our own reasons for cake. My parents went to India every year, and either my sister and I would get shipped to stay with my aunt and uncle, or my aunt would come stay with us. Either way – there was cake. Who goes to the store and buys cake on a Tuesday for the hell of it? My aunt did. It was the best. 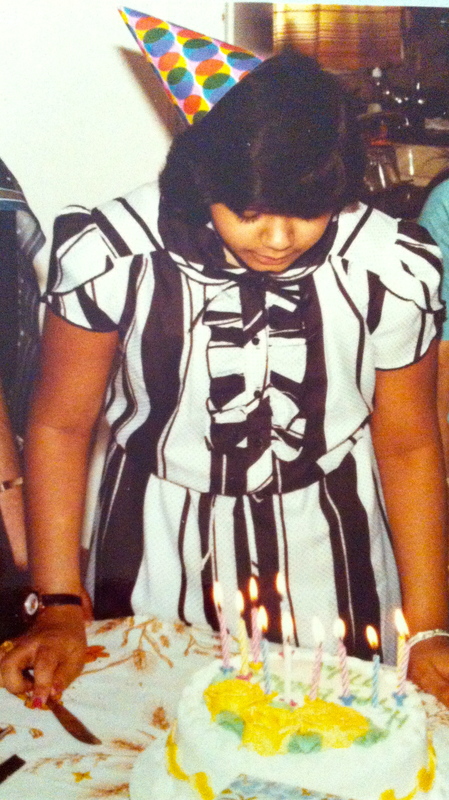 Here’s some pictures of my life with cake… look at me rockin’ the birthday hat. Fun side fact: I had that dress in brown and white too. 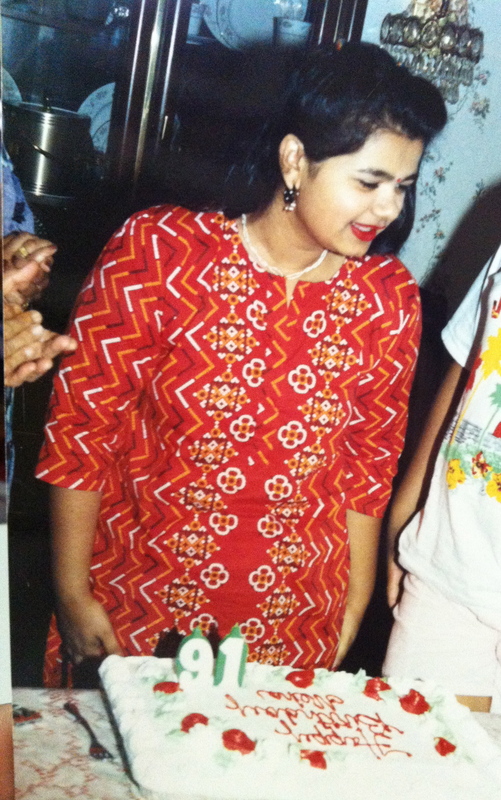 How did I find the exact red lipstick to match my jazzy Indian outfit? That’s how good I was people. Bonus shot. This is my sister and my cousin. Apparently we celebrated Christmas with cake too. And velvet and lace outfits. Finally – here’s the picture from over the weekend. I had a much more embarrassing shot than this but my sister got to my phone and deleted it. Don’t worry. This scene will be reenacted at least 12 times more this year with different family members. 13 if you count cat birthdays.